of my vehicles insured with them I was paying seventy-five dollars a month for basic insurance and at another company I was with before Geico I was paying close to a hundred so this was a very good price to save and they saved me cash. I also had full coverage through Geico and I stilled saved money, I ended up paying about fifty dollars less when I switched to Geico with that vehicle which was freaking awesome. I also had great motorcycle coverage through them as well and their rates really are that good. They also could have provided me with all kinds of property insurance that would have been very affordable and their products are just great. there was never any pressure to buy anymore insurance or annoying sale pitches by the people here and I really enjoyed going to0 the office as well as calling up when I had a problem because I never felt like I was going to be given a hard time dealing with Geico and their workers in Newington. 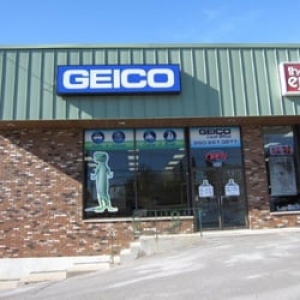 I am a huge fan of Geico and a huge fan of the Geico office in Newington CT and I highly recommend that you give them a try with insurance because they are great.